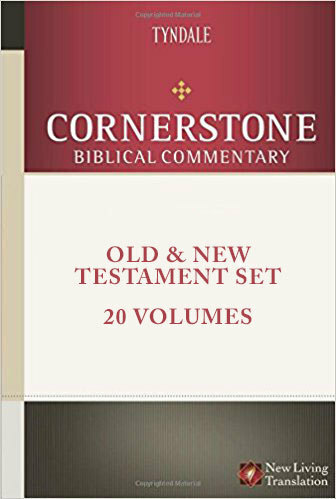 The Cornerstone Biblical Commentary series provides up-to-date, evangelical scholarship on the Old and New Testaments. Each volume is designed to equip pastors and Christian leaders with exegetical and theological knowledge to better understand and apply God’s Word. The message of each passage is presented as well as an overview of other issues surrounding the text. The commentary series has been structured to help readers understand the meaning of Scripture, passage-by-passage, through the entire Bible. The New Living Translation is an authoritative Bible translation, rendered faithfully into today's English from the ancient texts by 90 leading Bible scholars. The NLT’s scholarship and clarity breathe life into even the most difficult-to-understand Bible passages―but even more powerful are stories of how people’s lives are changing as the words speak directly to their hearts. That's why we call it “The Truth Made Clear."